Simulation Governance | ESRD | Engineering Software Research and Development, Inc.
Years ago, before NAFEMS and other organizations began to promote it as a Big Issue, ESRD and its partners coined the term “Simulation Governance” to describe the proper implementation of numerical simulation. Our implementation of FEA was originally designed to satisfy the requirements of Simulation Governance. What is Simulation Governance, or Sim Gov? Revision of mathematical models in the light of new information collected from physical experiments and field observations. Simulation governance is a managerial function concerned with assurance of reliability of information generated by numerical simulation. The term was introduced in 2011  and specific technical requirements were addressed from the perspective of mechanical design in 2012 . Its strategic importance was addressed in 2015 . At the 2017 NAFEMS World Congress in Stockholm simulation governance was identified as the first of eight “big issues” in numerical simulation. Simulation governance is concerned with (a) selection and adoption of the best available simulation technology, (b) formulation of mathematical models, (c) management of experimental data, (d) data and solution verification procedures, and (e) revision of mathematical models in the light of new information collected from physical experiments and field observations . A plan for simulation governance has to be tailored to fit the mission of each organization or department within an organization: If that mission is to apply established rules of design and certification then emphasis is on solution verification and standardization. 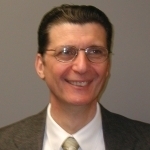 If, on the other hand, that mission is to formulate design rules, or make condition-based maintenance decisions, then verification, validation and uncertainty quantification must be part of the plan. We take V&V and Simulation Governance seriously. A plan for simulation governance has to be tailored to fit the mission of each organization or department within an organization: If that mission is to apply established rules of design and certification then emphasis is on solution verification and standardization. 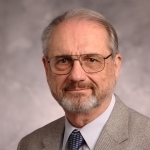 If, on the other hand, that mission is to formulate design rules, or make condition-based maintenance decisions, then verification, validation and uncertainty quantification (VVUQ) must be part of the plan. ESRD leads the forefront of the development and implementation of Sim Gov in modern numerical simulation products, including StressCheck® Professional, CAE Handbook, StressCheck® Tool Box and its consulting solutions. Why is Sim Gov so important? And why should engineering leaders support it? Management is responsible for command and control of numerical simulation, so management is responsible for simulation governance. All major industrial organizations employ numerical simulation in support of their engineering and business decision-making. Therefore using or not using numerical simulation is no longer a differentiator. The differentiator is: How smartly numerical simulation is being used? Depending on the answer, numerical simulation can be a significant corporate asset or a substantial corporate liability. Whenever engineering or business decisions are based on the results of numerical simulation there is an implied expectation of reliability. Without such expectation it would not be possible to justify the time and cost of a simulation project. In fact, if simulation produces misleading information then it has a negative economic value. There are many well-documented cases of expensive repairs, retrofits, project delays and serious safety issues arising from lack of simulation governance. The practice of simulation governance becomes critical for ensuring the reliability and robustness of analysis methods and tools used in support of engineering decision-making processes. The standardization, automation, and democratization of new technologies such as Sim Apps through the adherence to the practice of Simulation Governance offers many benefits to industry at the engineering, product, and business levels. These benefits include encapsulating complexity, improving productivity, containing cost, and ensuring reliability for the expert simulation analyst and non-expert design engineer alike. As the value of the simulation function increases the practice of simulation governance becomes critical to ensuring the reliability and robustness of analysis methods and tools used in support of engineering decision-making processes. What are engineering simulation thought leaders saying about Sim Gov? The finite element method is used by engineers daily in the design/assessment of components and structures. The number of engineers using such tools is increasing and will increase further with the so-called democratisation of simulation. However, whilst the method might appear easy to use, with highly effective graphical user interfaces, the fundamental fact is that it is approximate and can produce significant errors in the hands of the inexperienced engineer. These errors, if undetected, can compromise a design to such an extent that it becomes unfit for purpose or, even, unsafe. The way to avoid such finite element malpractice is through the application of sound simulation governance. …given compressed development schedules, it is hard to obtain representative parts (built on production tooling) in sufficient time to then test them and make engineering decisions. Also, it is prohibitively expensive to do statistically valid physical testing. So, for that reason, companies need to look at how they manage their simulation strategy, what we call Simulation Governance. This is an issue for senior executive management, not just the high priests of simulation. Many organizations equate the credibility of simulation results with the experience and judgment of their senior analysts. Without diminishing the value of senior analysts, an evidence-based approach to simulation credibility will reduce both the technical risk of producing incorrect simulation results and management’s risk in the use of simulation results in a decision-making context. S&A Governance can help make S&A more predictable, consistent, and productive. Without that consistency, S&A organizations usually lack common methods or shared practices. Consequences include poor re-use of S&A results with its many risks (product failures, increased costs and warranty claims, late to market due to engineering changes, etc. ), costly duplication of work, and even the purchase of unneeded systems and solutions. S&A Governance is a strategic way for companies to establish a sustainable competitive advantage in innovation, product quality, and time to market. Virtual Product Development capability is becoming an asset in many companies. A company’s ability to do virtual validation depends on CAE resources and an ability to do repeatable, reliable and robust CAE at all phases of product development. It is essential that a Governance System be put in place to take advantage of the virtual capability. What are some Sim Gov resources I can read or watch? Szabó B. and Actis R. Simulation governance: New technical requirements for software tools in computational solid mechanics International Workshop on Verification and Validation in Computational Science University of Notre Dame 17–19 October 2011. 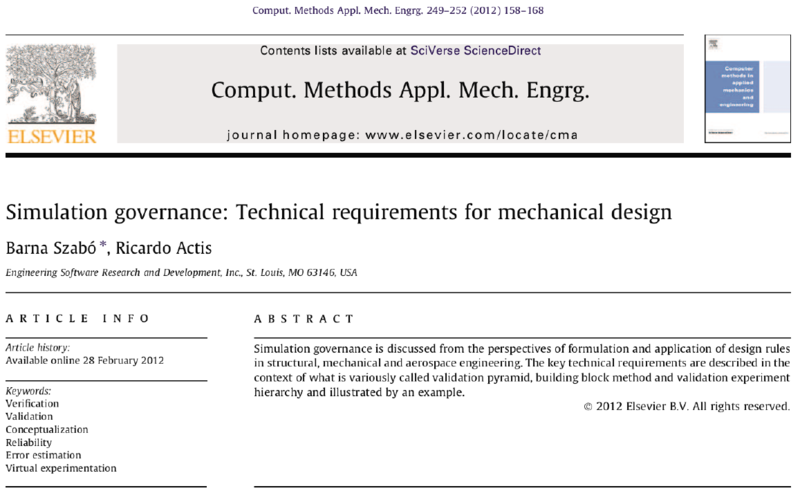 Szabó B. and Actis R. Simulation governance: Technical requirements for mechanical design. Comput. Methods Appl. Mech. Engrg. 249–252 158–168, 2012. Meintjes J. Simulation Governance: Managing Simulation as a Strategic Capability. NAFEMS Benchmark Magazine, January 2015. Oberkampf WL and Pilch M. Simulation Verification and Validation for Managers. NAFEMS, 2017. ISBN 978-1-910643-33-4. Consult our Simulation Technology FAQ’s for a summary of how Sim Gov, mathematical modeling and Numerical Simulation are related. Also, this Q&A on the right sidebar was posed after the 2016 NAFEMs webinar titled “Simulation Governance: Technical Requirements“. How can I assess if our simulation processes and tools truly support Sim Gov?